I have been involved in the outdoors since I was a youngster growing up in Watertown, S.D. and over the years, I have found that spending time in the outdoors becomes much more precious to me. It may be that it is the fact that I am away from the office and the racket that is associated with it! Each trip is an opportunity to escape from the everyday doldrums and a chance to get back to my roots. When I was growing up, I was fortunate to have mentors to teach me about the outdoors. My father Cal did a little hunting and fishing while my Grandma & Grandpa Menkveld did a lot of fishing and some hunting, while Glen Matteson, our neighbor across the street was an outdoor guru as there was not anything in the outdoors that he did not know about. The outdoor bug bit me at an early age, spending any spare time, running up and down the Sioux River or along the shores of Lake Pelican. I can honestly say that there was not much in the outdoors we did not try! From fishing to hunting and everything in between, we did all the things kids could do in the outdoors. We were fortunate to have adults that influenced us, getting us interested in the outdoors. Things have changed considerably in today’s world! When I was growing up, a good part of our population in our area were rural. Author was fortunate to have someone to introduce him to the outdoors, now he is passing along the tradition by taking his grand kids fishing and hunting. His grandson, Cooper Slaba with a trophy bluegill he caught with his Power Ranger rod & reel from a dam in northeast Nebraska. It always seemed that people living in the rural areas were closer to the land; they knew that hamburger came from a cow and pork came from a hog, not from McDonald’s. Hunting is part of our American Heritage and a huge part of the wildlife management program. In the Midwest, hunting is still an American tradition with the number of hunters holding their own. Much of the reason for this decline nationwide is that the population in the larger cities is not associated with the outdoors, where there are fewer hunters to help pass along the tradition of hunting and it seems as if it is fading away. In many families, some with only one parent there are kids interested in the outdoors, but there is no one to teach them. It is up to individuals like you and I as well as other members of the hunting family to show those new to the outdoors all the great things that the outdoors has to offer, and to “Pass It On. There are getting to be fewer and fewer folks, who will take the time to introduce someone, kids to the outdoors. We can no longer sit by, watching hunter numbers go down, and there are people, like you reading this column that are needed to teach others about the outdoors. You can pitch in and help by volunteering to help with youth programs run by the Game & Parks, DNR and Game Fish & Parks Department. I have been a Nebraska Master Hunter Safety Instructor, Hunter Safety Instructor for over 25 years and at these volunteer jobs, we not only try to educate others about Hunters Safety and the outdoors we do it because we want to see the tradition of hunting to continue. Some of the questions the kids come up with and the excitement when they go out into the field with our instructors makes it all worthwhile. Volunteers do not need to be expects needing to know everything about the outdoors, each of us enjoy the outdoors in different ways and you can pass on that information. You will be talking to youngsters and others, eager to learn about the outdoors, hungry for every little piece of information on the outdoors that they can find. No one knows everything about the outdoors and those that think they do are not the type of individuals you want to have as teachers any way! All you need to do is to spend some time with a kid or non-hunting adult and pass along information about hunting, fishing, camping and the outdoors. They do not need to tag a trophy buck, to camp in the Rockies or catch a monster fish; they just need to get away from the computer, computer games and television. In fact, it is best if you start kids out slow; showing them how to plink at targets, shoot a bow, to catch bullheads or bluegill, and how about doing a backyard camp out. Watching a youngster that you introduced to the sport, enjoying a few of the many things the outdoors has to offer is one of the best feelings in the world. You have not only made yourself feel better, you made some youngsters day and helped introduce another to the outdoors! Kids are looking for something to do and there are so many things they can get into that are not good for them. They need an alternative so they are not out getting in trouble or setting in front of video games. 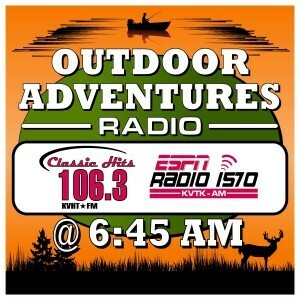 Myself, I really enjoy seeing a new angler catching a fish or a young hunter calling in a turkey, because I know that I added another outdoorsmen or women to the sport of hunting. Another way to support the outdoors is to support the many conservation groups. Pheasants Forever, Whitetails Unlimited, Ducks Unlimited and the National Wild Turkey Federation are all tremendous conservation groups that do an excellent job of promoting the outdoors, all while working to increase habitat and wildlife populations. These groups all have mentor programs where: outdoors skills and the love of the outdoors can be passed along to the younger generation. It is up to our outdoorsmen and outdoors women to help promote the outdoors and to introduce the youngsters to all that Mother Nature has to offer, as the youth are the future of our sport, lets “Pass It On”. You may be surprised as the kids may not be the only ones learning something!